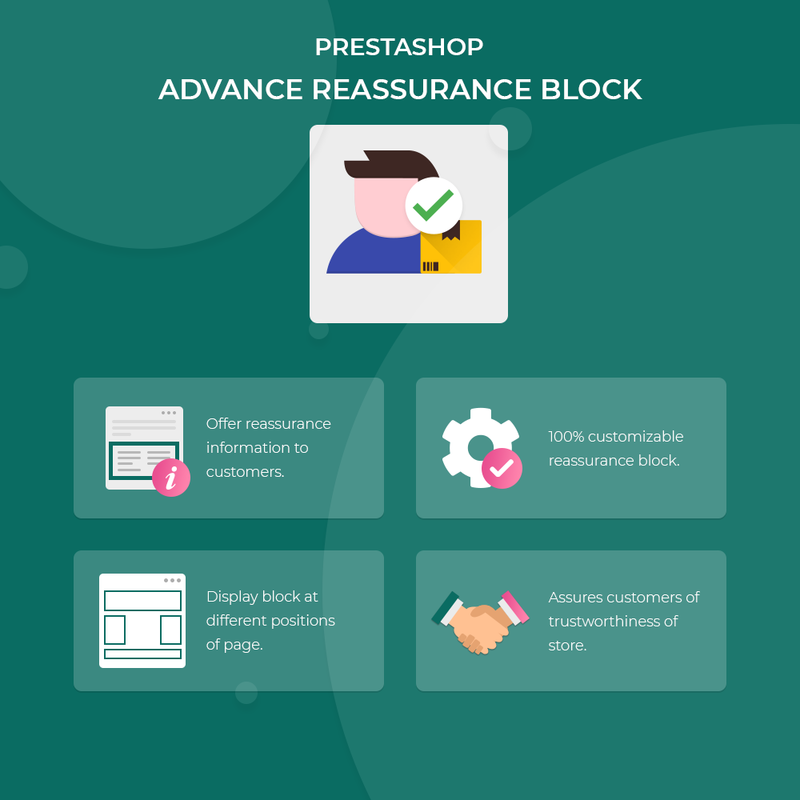 Prestashop Advance Reassurance Block : With PrestaShop Advance Reassurance Block, you can highlight the relevant information of your store like payment security, hassle-free returns, original products etc in a block. Such information reassures the customers that the store is trustworthy. A highly customizable block to display necessary information to the customers about your shop. E.g. shipping, order tracking, online cancellations etc. 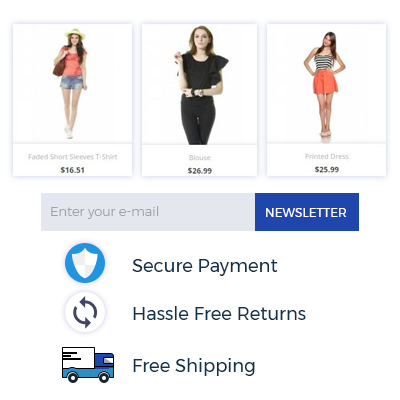 Display reassurance block on product page, category page, and CMS page. Display reassurance block at different positions of the page. Gives confidence to the customers regarding the authenticity of the store. Reassure your customers by highlighting relevant information of your store in a customizable and responsive information block. Displaying reassurances information such as payment security, original products, money back guarantee etc gives the customers a confidence that your store is trustworthy and they can proceed with the purchase without any hesitation. Add customizable images and content in the block which describes the features of your store. 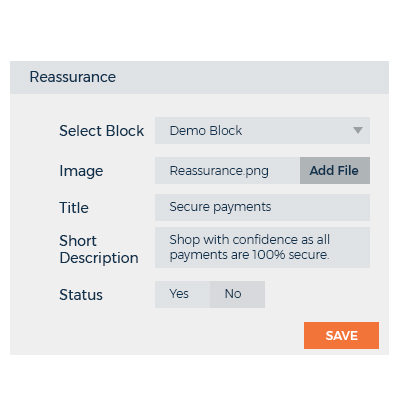 You can choose to display the reassurance block at different positions of the store so that customers can have access to reassurances information. 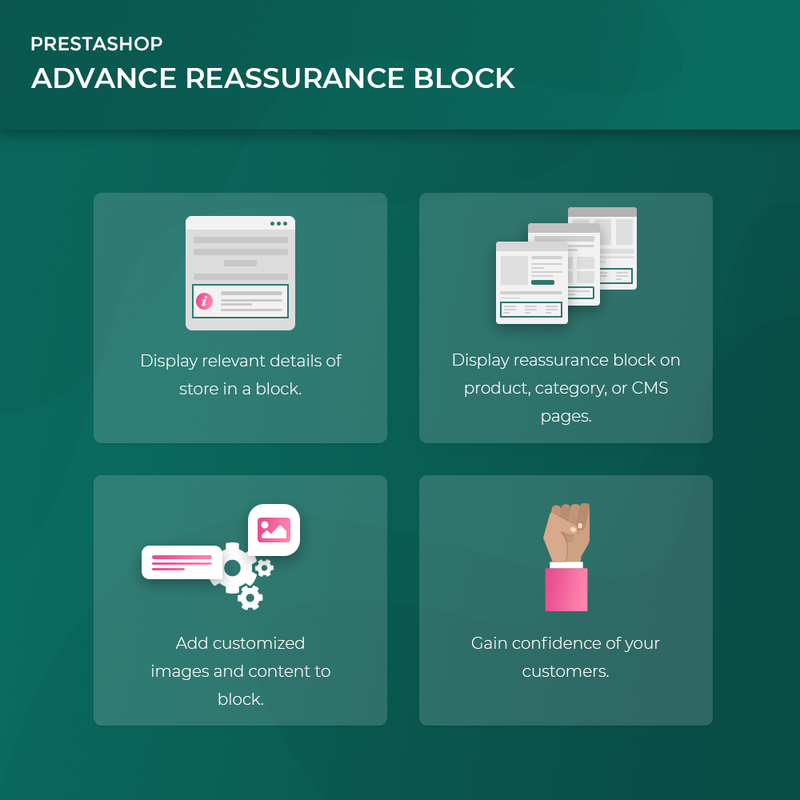 Did you buy Prestashop Advance Reassurance Block?